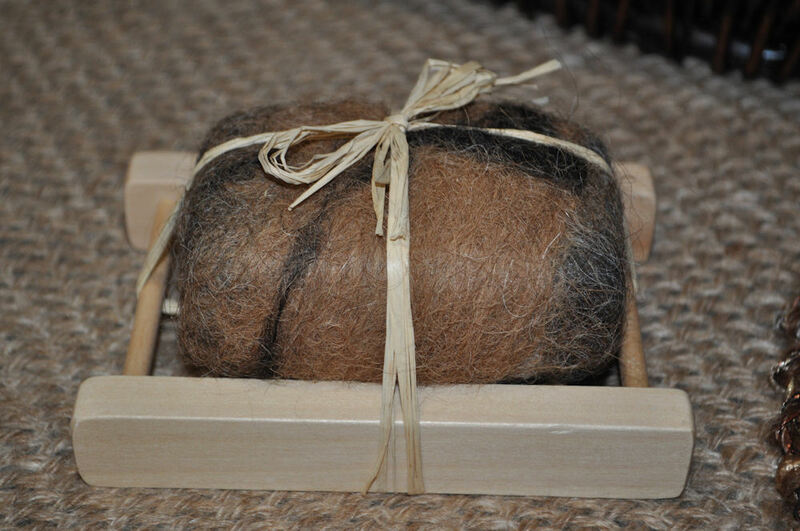 Hidden Oaks Llama Ranch now offers FELTED SOAP. The fiber used is from our very own Llamas! The fiber is gentle and natural; it exfoliates giving you results you can feel. 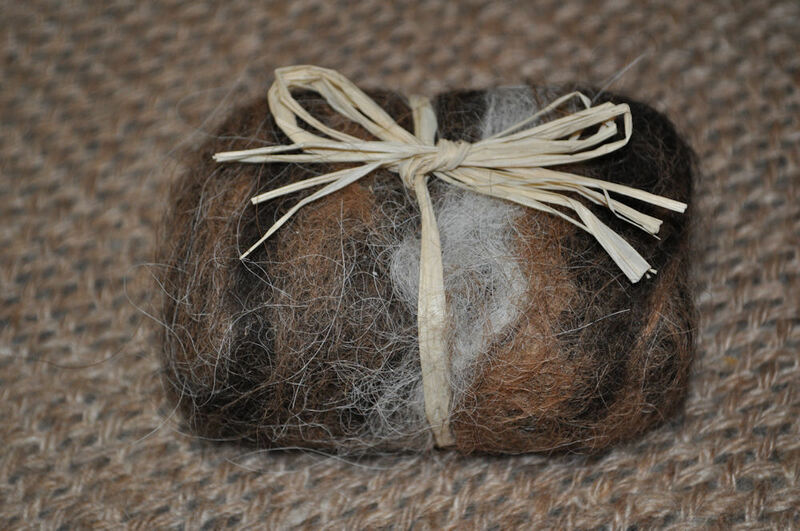 Felted soap lasts 2-3 times longer than regular soap. As you use the soap, suds come through and the fiber will continue to shrink (or felt) around the bar until you are left with a little scrubby, perfect for cleaning with. The soaps are 4 oz each and are all natural. 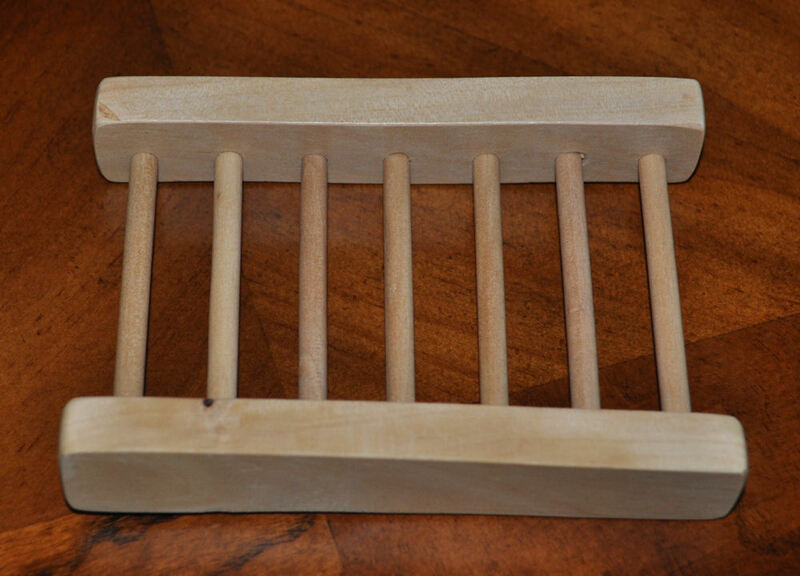 A wooden soap rack for drying can also be purchased and makes a very unique gift for just about anyone! Custom orders are available. will be making more soon! OATMEAL SPICE - Gentle oatmeal, ground and whole, provides skin-healing exfoliation. Organic ground cloves give this soap a rich, spicy scent. Feel the difference in your skin with this gentle complexion bar good for the whole body.